Global Manager Group has successfully completed ISO 9001:2008 Re-Certification from leading certifying body, ISOQAR. Team of ISO 9001 consultants from Global Manager Group has visited and verifies Quality management system implemented in the organization. They have helped to prepare ISO 9001 documentation including iso quality manual, procedures, quality policy, SOPs, formats and 9001 audit checklist for all departments of the organization like account, marketing, development, release, testing, QC etc. GMG has also provided QMS awareness training for iso 9001 system to all technical and management staff of Priya Softweb solution during this ISO 9001 certification consultancy. Management Head from Priya Softweb said about the achievements that ?? ?ISO 9001 training given by the professional internal iso 9001 auditors of GMG to all staff has helped us to clear the external audit for ISO 9001:2008 certification in first trial.??? Global Manger Group has been provided all necessary helps to Priya Softweb Pvt. Ltd. for implementing Quality Management System, providing ISO 9001 training as well as achieving the ISO 9001:2008 certification in given time limits. 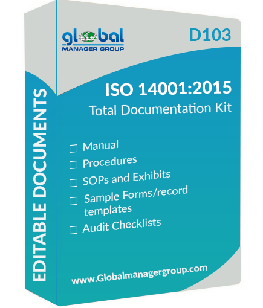 Global Manager Group offers a wide range of consulting services like ISO 9001, ISO 14001, ISO 17025, CE mark, ISO/TS 16949, ISO 27001, OHSAS 18001, SA 8000, HACCP document, BRC, ISO:22000, 5S, six sigma, Kaizen, Goal setting, KRA, Total Productive Maintenance (TPM), Benchmarking, Just in time, Kanban, employee motivation & HACCP. Also provides best implementation of environment management system, food safety system, information security system, OHSAS system.